.2000-2006 member of the „Chorus angelorum ensemble“ (ensemble of Slovak renesance music). In year 2005 on „Rome“ tour. Also performing and recording music for TV magazine about history with Juraj Korec´s ensemble. .since 2005 member of the band Nikolaj i jego komanda (Nikitin, Kubinec, Borodajkevyč, Portella, Bilčik), performed monthly in Kino kafe club.
. 2005 played with Nikolaj i jego komanda: Jazz Slovacchia – Villa Cellimontanta in Rome, also Film festival Palinuro (IT). .2006-2008 member of the Nextime band (Nikitin, Miko, Ambrózai, Rusňák), 2008 played at the Slovak Embassy in Rome. Also played the festival 24 hours piano in Dolný Kubín. .in years 2008-2010 the music dramaturgist in music club Hlava XXII (means Catch 22). Cooperation with world famous musicians as: Jojo Mayer, Poogie Bell, Lenny White, Greg Hutchinson, Joris Roelofs, Aaron Golberg, Reginald Veal, Andy Middleton, Harry Sokal, Walter Phisbacher, Laco Déczi, etc. 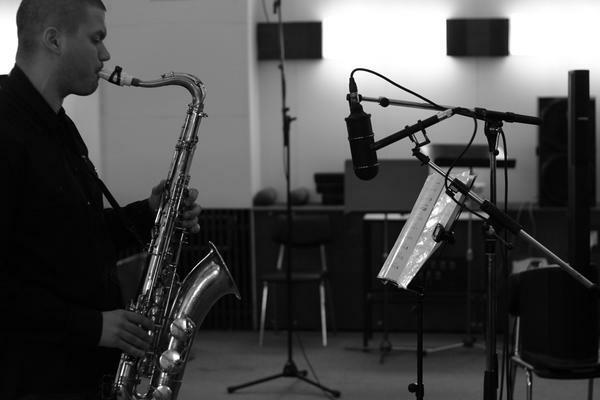 .2008-2010 privat saxophone lessons with Harryh Sokal and Andy Middleton. .2009 played concerts with Luboš Šrámek in Montenegro and Czech Republic.